Grow your own fruits right here on Kauai. Check out our selection of fruit trees for sale then come and pick up a few to plant in your yard! Kauai Seascapes Nursery has many varieties of avocado trees for sale. Different types of avocado trees produce fruit at various times of the year. 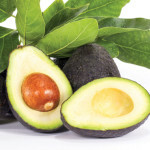 By planting the right mix of avocado tree varieties you may harvest avocados year-round. Kauai Seascapes Nursery has many varieties of citrus trees for sale. 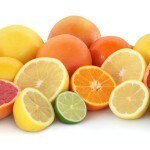 We offer mainly semi-dwarf citrus trees. Standard sized citrus trees are available by special order. Figs are delicious and easy to grow. 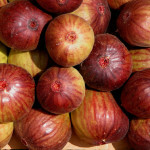 Figs are eaten fresh, made into preserves, cakes and dessert fillings. The small deciduous trees grow in most areas of Hawaii. The fruit is borne on the new flush several times a year. Do not be alarmed when the tree loses its leaves in the winter, new growth and fruit will appear soon after. 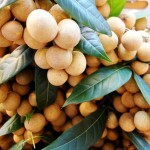 Longans are usually eaten fresh but are also dried, canned, or made into delicious dessert sauces and sorbets. 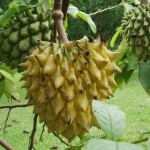 It is a delicious, juicy fruit with a very sweet flavor, and a single seed. It is a large spreading tree which is easily managed with annual pruning. It produces best below 2000’. Kauai Seascapes Nursery has many varieties of mango trees for sale. Different types of mango trees produce fruit at various times of the year. By planting the right mix of mango tree varieties you may harvest mangoes May – October. 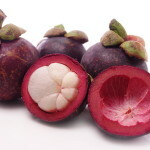 The “Queen of Fruits,” Mangosteen is a round, purple-brown, smooth, thick-skinned fruit. The fruit is apple-sized, white fleshed and considered the most delicious fruit in the world. The slow growing trees require tropical conditions, needing plenty of moisture and protection from wind. The trees take between 7-12 years to fruit, depending on care and location. 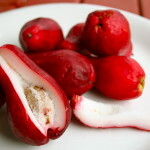 Mountain Apple, whether the ‘Red’ or ‘White’ variety, are delicious fresh eating fruits and grown easily in most backyards. The trees can get large and produce abundant fruit several times a year. The ‘Red’ variety is easier to market as it does not show blemishes to the skin. The ‘White’ variety will turn slightly pink if left on the tree until fully ripe. The flowers appear directly on the trunk and branches and soon fall, carpeting the ground a beautiful crimson red or snow white. Fruits in March-April. 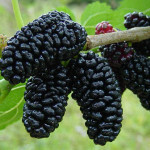 The abundant fruit of this fantastic tree is about one inch long, dark purple when ripe, sweet and tasty. 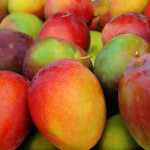 The fruit is delicious eaten fresh and can easily be made into jams, pie fillings or colorfully added to a fruit salad. The trees thrive in most locations here and can be maintained in bush fashion with ease. 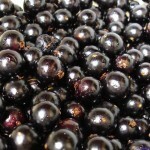 They fruit more abundantly after each trimming, as the berry is borne on the new growth. Rollinia deliciosa is a fast-growing Annona from tropical America. It is a medium-sized tree of less than 15 feet in height, and bears within 3 years with proper care. The sweet delicious custard-like fruit is best eaten fresh or made into a smoothie. 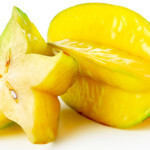 The Starfruit is beautiful, easy to grow, early bearing tree. The yellow, star-shaped fruit are abundant, juicy and sweet. The Starfruit is usually eaten fresh, with the skin and is often used as a beautiful garnish or palate cleanser.